Auckland Aikikai Starter Packs offer a considerable saving and help you to integrate into formal training with minimal fuss. Starter Packs are available to anyone wanting to join Auckland Aikikai. Please inform us when joining if you wish to purchase a Starter Pack. We can then organise the right size uniform. New training do-gi (training uniform including belt). 1 Term of training at our dojo. Use the table below to work out the right size uniform (d0-gi) for you. 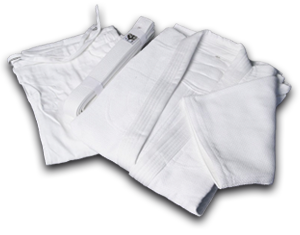 If you are purchasing the starter kit please let us know which size do-gi you will need and we’ll have it available for you as soon as possible.